Ataide, a self-taught mason and homebuilder lives and works in Paraisopolis (“paradise city”), one of Sao Paulo’s largest favelas, where he grew up and developed his skills. Paraisopolis has been visually integrated into this magnificent city’s imaginary thanks to several photographs circulated by urbanists and enthusiasts. The contrast of its low-rise, high-density, raw-brick structures against the dizzying residential skyscrapers makes for an epic, even if a bit stereotypical cityscape. This image has been used countless number of times to illustrate the deepening inequality between an ever more opulent minority and a majority which crowds the city’s interstitial spaces. From within, the story isn’t as dramatic, thanks to the efforts of people like Ataide who have built and consolidated the settlement in piecemeal fashion for decades. Paraisopolis is one of the oldest and best-settled favelas in the city, with some of its streets lined with shops and freshly built houses. Sometimes referred to as a post-card favela, it showcases the better face of the city’s history of unplanned urbanization. Whenever such a settlement grows on its own energy, using local labour and skills, it is generates confused responses. Should its improvement be encouraged or discouraged? By encouraging does one risk celebrating small incremental moves at the cost of ignoring the bigger story of illegitimacy and inequity that it is trapped in? Should we instead promote its redevelopment into modern-looking affordable housing blocks? But then aren’t we reproducing the extremely dysfunctional monolithic suburban landscape that has become ubiquitous in cities around the world? And in a seesawing economy like Brazil’s, how can we rely on public investments or real estate speculation to promote development? While the debate goes on, Ataide builds and repairs homes, along with dozens of other builders in Paraisopolis. There was a time when international agencies had tremendous faith in the ability of neighbourhoods to develop on their own. From the 1960s onwards, Latin American architects, social workers and academics recognized the importance of “autoconstruction” and “self-built” neighbourhoods. Some of the most progressive policies on slum improvement and land tenure came from Peru, Colombia and Brazil before the World Bank popularized them further elsewhere. “Site and services” projects that provided families plots with basic infrastructure, in places like Arrumbakkam near Chennai, Charkop in North Mumbai, or Aranya near Indore, were in essence Latin American imports. Initially some believed they were failures, resulting in the scheme being abandoned in the 1990s. Distance from city centres, and slow endorsement by target groups were major obstacles. Often the infrastructure wasn’t functioning properly (which seems to be more of a generalized problem in certain parts of the world). In reality, the schemes were unfairly expected to produce instant results, when their core principle was incrementality – the idea that it sometimes takes a generation – for a neighbourhood to grow. It took time for Paraisopolis to get where it is now. Other “site and services” settlements built in Latin America and India between the 1970s and 1990s have now become hugely successful neighbourhoods, with diverse populations and mixed residential and economic activities. These incremental neighbourhoods rely on the development of a local construction ecosystem, with masons, plumbers, bricklayers, welders and carpenters. They are key to the process. Like Ataide, who, over a course of an adult lifetime, has built nearly 100 homes in Paraisopolis and continues to do so. Along with the homeowner, he designs, constructs, builds and finishes a structure right down to its smallest details. A house may take a few months to build, but each structure is a beautiful testimony to his talent. During the last few years, documenting his style and getting students to work and learn from him, has virtually started a small school / studio of learning in his neighbourhood. Students from some of the best architectural schools in Sao Paulo come and exchange ideas and learn from him. The “site and services” projects, which were implemented in 27 Indian cities, are a living testimony of what can happen when the government trusts people’s ability to self-develop. They need more support to develop and improve. But first, we must change our perception of artisans who, like Ataide, build entire neighbourhoods one house at a time. As an aggregated citywide presence, they constitute a formidable force for sustainable urban and economic development and must be valued for this. 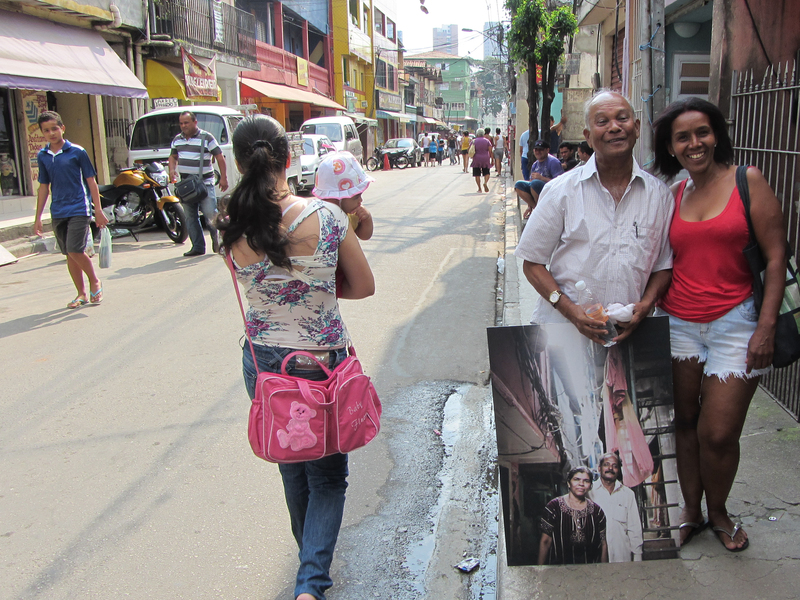 Bhau Korde, a social worker from Dharavi in Mumbai, visited Paraisópolis during an exchange organized by São Paulo’s housing department. He was impressed by how friendly, clean and beautiful the settlement, which was once known at the biggest slum in São Paulo, looked.